While the leaves have not yet started changing colour, fall is just around the corner and it seems it's all everyone is talking about! Funny enough, summer has decided to stay a while longer around here, and despite having pulled out my blankets, thick socks and fluffy slippers just last week, I'm back to wearing shorts and keeping the fans running around the house (and I'm not complaining - summer baby here). 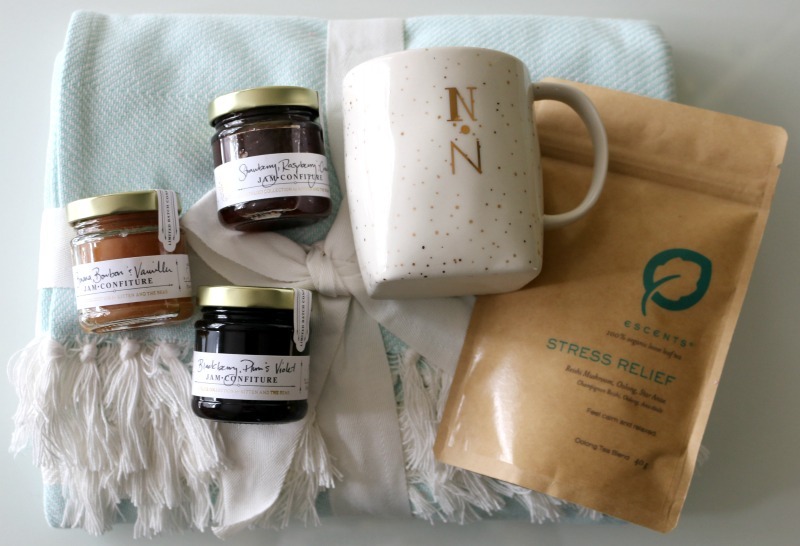 To get me in the fall spirit, I recently received a thoughtful care package from Escents, a Canadian aromachology-focused brand based in Vancouver, and have been immersing myself in their wonderful aromatherapy products - along with their Ceramic Grace Aroma Diffuser* and Energizing Aroma Kit*, I also have been enjoying their Wellness Roll-On Kit* and Stress Relief Oolong Tea Blend*. I have been wanting a diffuser for ages, and was actually looking at some on my recent vacation and told myself I would purchase one when I got back. So when I opened my parcel from Escents and saw this beautiful Grace Ceramic Aroma Diffuser ($56), you can bet your bottom dollar I started doing a little happy dance. What I love so much about it is that it also doubles as a lamp and home decor. The floral cutouts in the ceramic create the perfect dimmed light effect to get you in a relaxed state of mind during the day or help you unwinding at night. All you need to do is add water to the container inside, add a few drops of your favourite essential oil or blend and power it on. It diffuses aroma without heat while still expelling a gentle stream of mist. Not only that, but it also acts as a humidifier by adding moisture to ambient air, while purifying it at the same time by removing fine particles and dust. You can set it to run non-stop for two hours or in intervals for four hours, after which it automatically powers off. I mean, how cool is that? 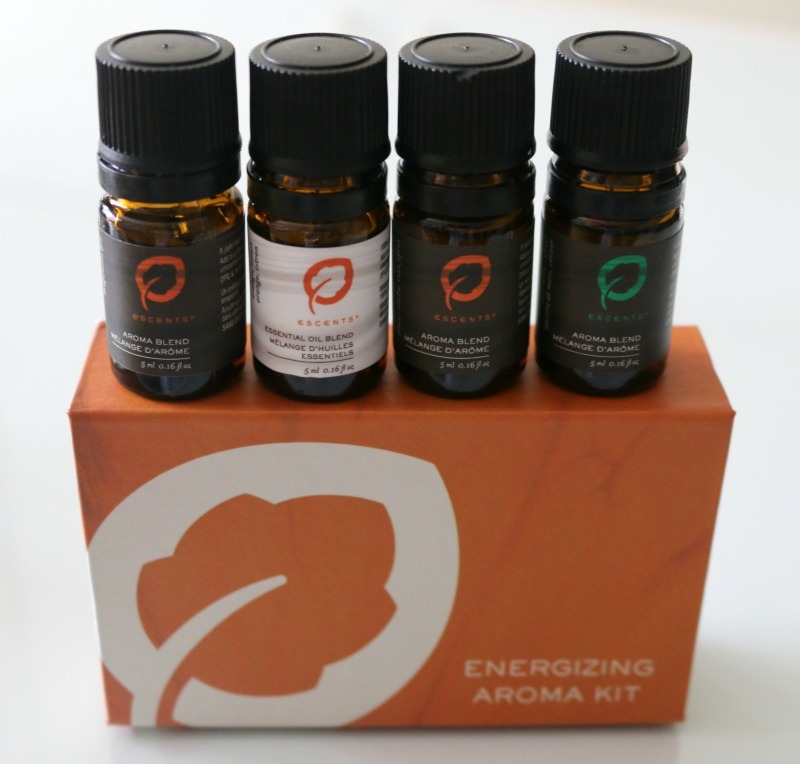 Speaking of essential oils, I have been kind of obsessed with the Escents Energizing Aroma Kit. It contains four refreshing blends of 100% pure essential oils which I have been alternating between daily: Northern Spring (bergamot and pine), Energy (orange and lemon), City Lights (litsea cubeba and eucalyptus) and Urban Garden (corn mint and vetiver). They all smell so lovely and different that it's hard to pick a favourite! I've also been adding pure lavender, eucalyptus, tea trea and peppermint oil to my diffuser, which have calming and detoxifying properties. Escents also offers aromatherapy products for topical use, such as their Wellness Roll-On Kit ($39). Housed in a handy, travel-friendly carrying case, this set will come to your aid in times of discomfort. Head Aid, containing peppermint and lavender, has already come in handy a few times when suffering from a headache, which I sometimes get from screen fatigue. I apply a small amount of product directly on my temples and neck, and it has worked miracles each time, leaving a cooling sensation and riding me of my pain within 15-20 minutes following application. To calm my stomach, I have been using Digest Aid which is made with fennel and ginger. I roll the blend directly on my stomach but you can also apply some on the bottoms of your feet to combat indigestion. Finally, Stress Relief has been a blessing when I have been feeling anxious or overwhelmed, thanks to its neroli and bergamot blend. I roll some on my wrists and neck, and take long deep breaths to inhale the scent in, and it truly works! Within minutes my head feels lighter and clearer, it's actually amazing. Not only was I treated to wonderful oil blends, but I also received a few other goodies to put me in a fall mood. 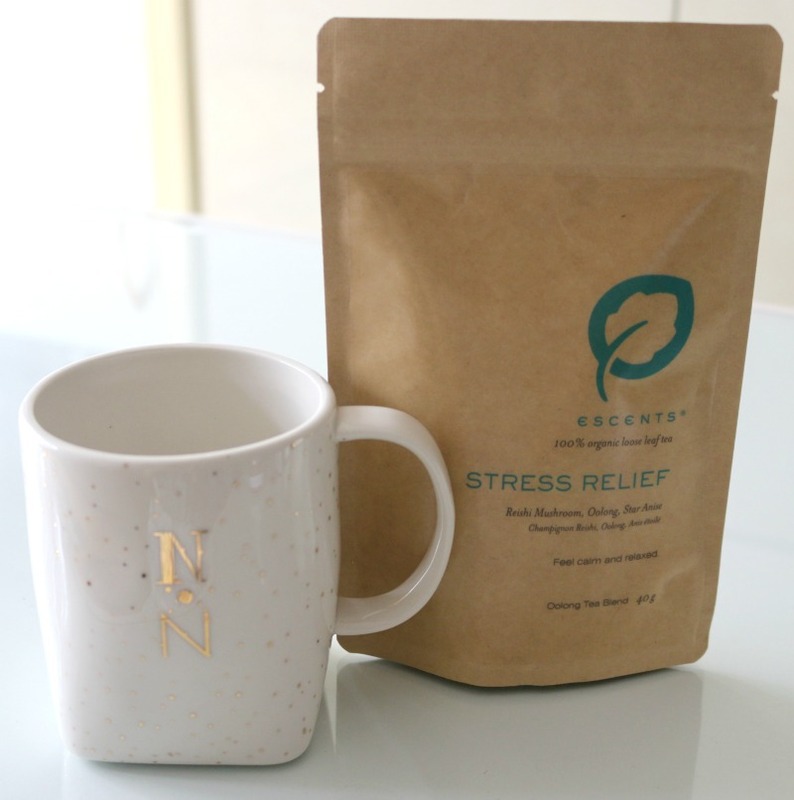 To go along with this adorable Anthropologie Gilded Shapes Monogram Mug* made of ceramic and featuring gold decal, I received the Escents Stress Relief Organic Tea ($13). This Oolong blend contains reishi mushrooms and star anise which are packed with antioxidants and micronutrients and are said to boost immunity and calm the mind. The tea comes in loose form, and you will have to steep 1 scoop for 1-2 minutes in 80 degree water for best results. The rich scent puts me in a relaxed state of mind almost immediately, and is the perfect drink to decompress after a long day. The foodie in me was so excited to also discover the Signature Preserves Tasting Box ($28)* from Kitten and the Bear which I was kindly gifted and which contains three of their best-selling flavours: Banana, Bourbon & Vanilla Bean; Blackberry, Plum & Violet; and Strawberry, Raspberry & Cream. All of the preserves of this Toronto-based brand are handcrafted in small batches in their atelier and these particular ones are vegan too. I was informed that they even use Lantic sugar (their refinery is based not too far from me in Montreal) which is free of animal byproducts of any kind. Kitten and the Bear do not add any butter or oils to their preserves - they are made with only fruit (local when possible), as well as sugar and freshly squeezed lemon juice. 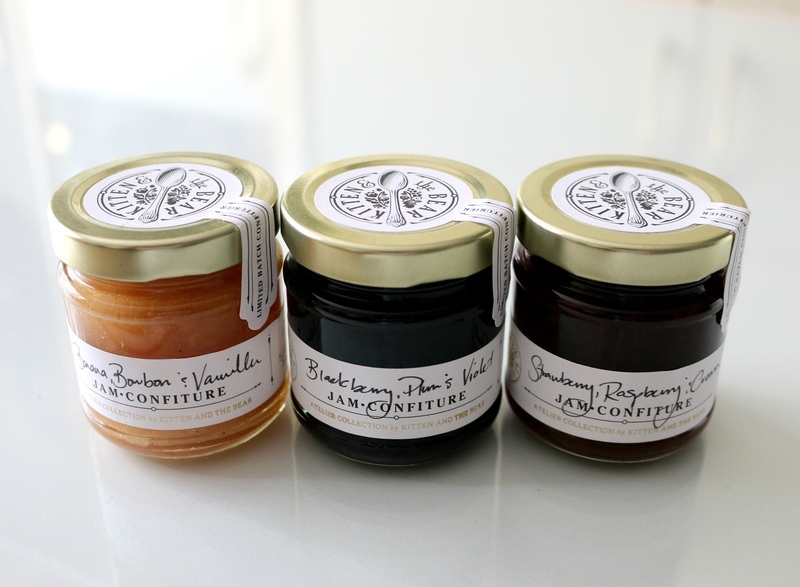 Trust me when I say that these flavours are absolutely exquisite, some of the best jams I have ever tried. To stay extra warm and toasty these fall months, I will be getting a lot of use out of this Herringbone Woven Throw* from Indigo. 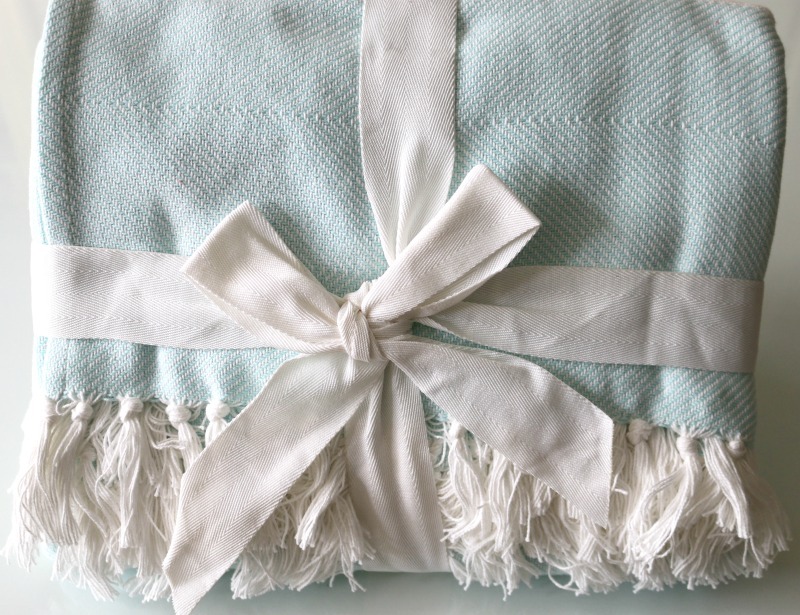 Made with 100% cotton and featuring blue and white stripes as well as soft white fringe, I know I will be spending many hours wrapped in this blanket while reading a book or working away on my blog. How will you be staying nice and cozy this fall? My husband and I bought a SCENT thing.... And now we keep filling it with FALL smells because - ANYTHING to get us in the fall spirit. It's hard to do so when you live in a place that doesn't really experience seasons - and he and I both ADORE SEASONS so so so much! You got some cool stuff there! I especially like the idea of a diffuser for the fall/winter season.. The humidifier and air purifier would be really useful for us as we're prone to stuffy noses in the winter. I really love that diffuser. The flowers would go with every room in my home. I'll have to check it out because I need a new one. Some lovely items for the new season. So many home scents smell artificial, but this burner and essential oils sound lovely. I am a HUGE fan of essential oils. Their products seem to be well researched and the blends sound amazing. That diffuser is gorgeous as well. the one I have isn't pretty at all haha! I'm going to have to buy theirs! My mom has just discovered essential oil's and she loves them. I think I might buy her this diffuser for Christmas because I think she will like it a lot. I have been wanting a diffuser too, but with so many on the market it is hard to know which one and which oils are the best to use. I am going to have to give this one and the oils a try. I need to try this out. I always hear about oils, but have yet to try them. But with two stinky cats, I think this would come in handy. I love my oils. I was thinking that I need one that smells like coffee. A lot of goodies! The jelly sounds good. Now you can sit comfy and cozy curled up under your blanket sipping your tea and relaxing amongst a scent or two! I plan on being warm and eating lots of pumpkin in the fall. I cannot go a day without using my essential oils. I love that diffuser. Bring on Fall! reading this post made me think, "What happened to my diffuser". I have one and I used to use it all the time, especially when relaxing in the tub. I need to pull it out and try some new oils. I have all boys in the house and to be honest, they smell. A lot. This would be nice to help cover up the boy smell around here. I do love my oil diffuser! There are so many scents that you can combine to make something fantastic! What a lovely set of items! Your diffuser is so pretty and the scents sound amazing. These are such nice little treats to have around the home. The blanket looks so cozy. They made of a good fabric. I have been using aromatherapy and essential oils for years. I swear by them! These look fantastic! Fall scents are my jam!! What a great gift to get, all of the scents with diffuser, I bet your home smells amazing!! This is such a gorgeous diffuser. I love when my house smells like fall! What a great idea. I love this idea! The diffuser is super pretty. It would look really elegant. I love the idea of the signature perserves tasting box! That looks like it would be fun to get. AWWW I'm so excited for fall. I LOVE the smell of lavender, and I will be incorporating it into fall. I love essential oils. I really like the diffuser you have here too. I'd love to have that one. I've never tried this brand of essential oils before. That throw just screams Fall. I would love to cozy up with it and read a guilty pleasure magazine. I love when my house smells good. I always have a candle burning. Will try using essential oils from now on.That burner is so cute and practical. i have an aromatherapy diffuser that I've yet to use. i think it's time to whip it out and put it to good use. i like the idea of the energizing aromatherapy scents. I've heard so many great things about essential oils, but I haven't really used them. I would love to try them someday. I could use a few of these items! For one, the stress relief tea. Then, I really like the throw and would love to add it to my collection. I really could use some more diffusers around the house. I really love the smell they create and they help to reduce stress certainly. These are lovely! I've always wanted a diffuser and hope to get one soon also. I've been wanting a diffuser for some time now. And I'm been eyeing essential oils like an obsessed woman. I think it's about time I finally take the plunge and just do it! 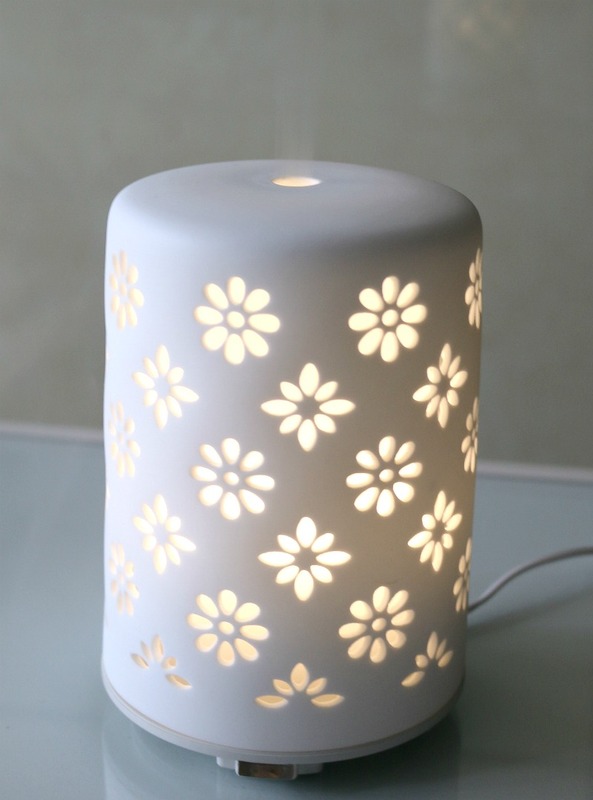 I love the floral cutouts on the diffuser you mentioned & that it's white and goes with my home decor. As much as I would love to be getting in the fall spirit it's still 90 degrees here in Las Vegas. However, that diffuser is exactly what I'm looking for. I love diffusers, especially in my office. I love scent oil and this looks awesome. I would love to try it. Thanks for sharing. I love autumn, cosy warm nights by the fire and that throw would be perfect to snuggle into! I also like that defuser looks so stylish! The autumnal season has always been my favorite! I always look forward to everything that this season entails. Oh yes I love essential oils, it is so amazing how the different scents can totally change your mood! I know a lot about diffusers and essential oils. I do use them all the time. It helps when I am sick, also to relax. I have been hearing positive reviews about using essential oils. It's maybe time I check it out and try. My Amore loves the lavender essential oil in our bedroom which helps us to relax, after a very tiring day. I will check for this oil brand as well. I wouldn't be able to live without my essential oils and the diffuser! 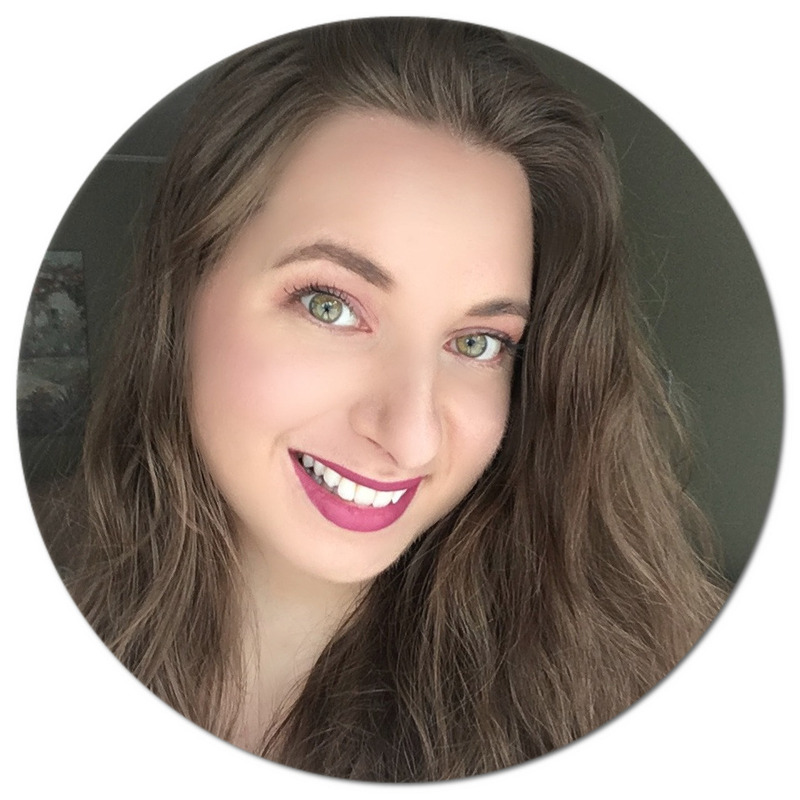 Your post has totally put me in the mood for fall! I love my diffuser! I use it all the time. I need another one for my bedroom. I would love to be able to use one to make it smell good!! Silly question, but I bought this diffuser a while ago and I've upgraded...so I am giving it to my bf to use for his allergies... How the heck do you get into the water tank? Lol I can't seem to be able to get the top off? This thing never came with instructions and I can't find it online... Help! You can just pop the plastic piece off! Lol I know but it refused to come undone... We did end up pulling REALLy hard it it finally popped off.